It’s finally beginning to feel like fall in my little corner of the world, which means warm pajamas, fuzzy slippers, and all of my favorite movies, with popcorn, of course. 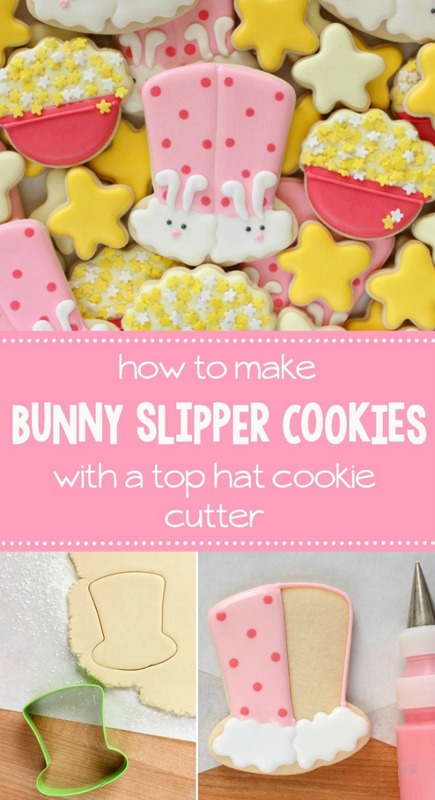 To celebrate the arrival of cooler weather, I decided to skip the traditional autumn leaves and work on another idea that’s been floating around in my brain…bunny slipper cookies made from a top hat cookie cutter. 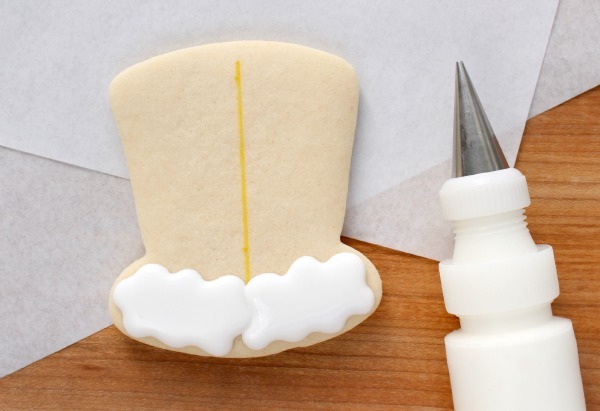 I actually have two top hat cutters in my collection, both of which worked well for this project. 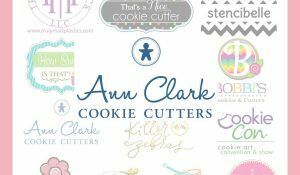 The green cutter is a St. Patrick’s day design that I picked up at Hobby Lobby, while the black one is a Wilton creation and can be purchased here. Before decorating use a food color marker to “map out the design”. 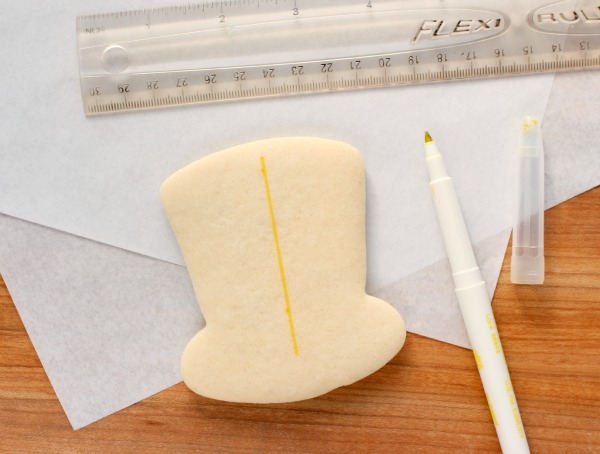 You can always skip this step, but it really takes the guesswork out of creating uniform cookies without a projector. 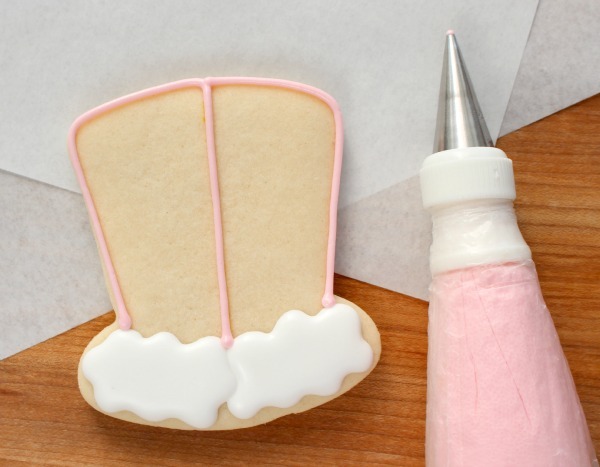 Begin by using white 20-second icing to add the first slipper. Give the first slipper ten or so minutes to set, then add a second slipper. 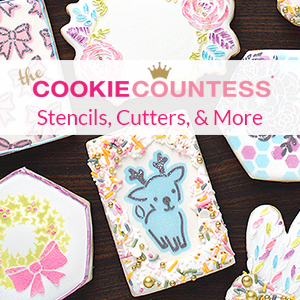 Giving the icing time to dry between applications is a great way to add dimension to a cookie design. To prevent bleeding, give the slippers a bit to dry (perhaps and hour or two) then, using the yellow line as a guide, outline the pant legs with a #2 tip. 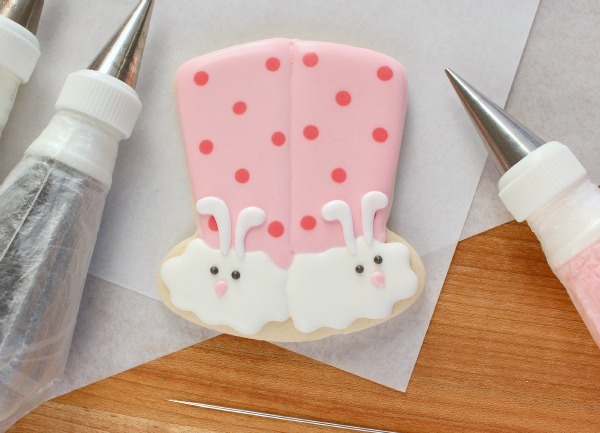 Next, flood one leg with light pink icing and quickly add darker pink dots to the wet icing. Be sure not to go overboard with the dots, this can make the design look messy. Let the first leg dry for ten or twenty minutes under a fan, then repeat the previous step on the second leg, making sure that the dots line up with the first. 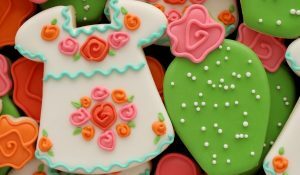 At this point, wait until the cookie is completely dry (this can take anywhere from four to twenty-four hours depending on where you live) before adding the final details. 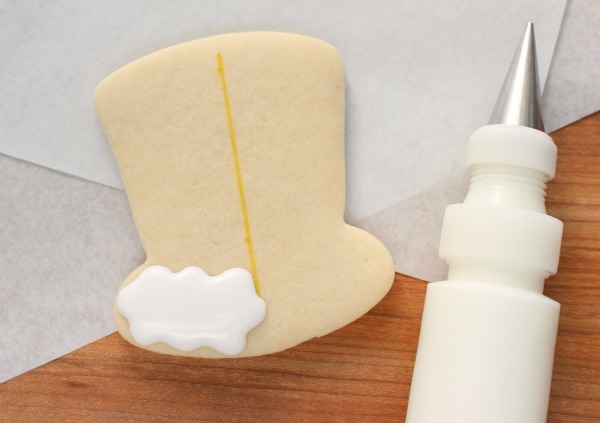 When the cookie is dry, finish up by using a #3 tip to pipe ears and a #1 tip for eyes and nose. 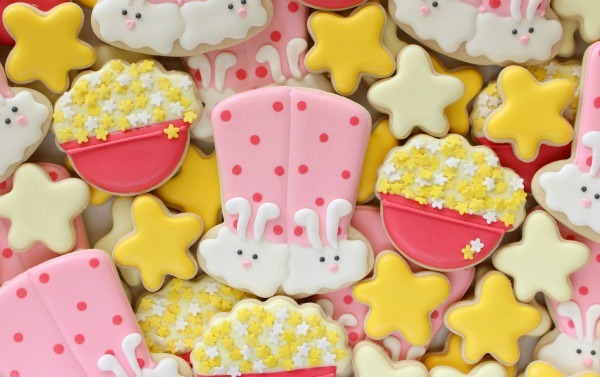 Mix with other simple designs for a fun sleepover-worthy treat! For a couple of months I’ve been considering adding alternative steps you can follow to either simplify or dress up the designs that I share. Let me know what you think, or feel free to add your own suggestions in the comment section. 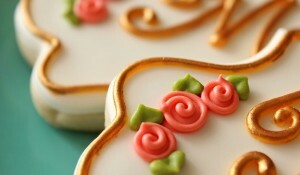 Drop black sugar pearls or non-pariel “eyes” into the wet white icing with tweezers and skip mixing another color. Callye, what cuter did you use for the popcorn bowl? Hi Callye! I love all of your tutorials/videos/advice/instructions, etc. Your site is one that I first saw years ago, and I continue to log in daily. Thanks for everything, you have been insightful to me. I really liked this tutorial. I loved the alternative steps you added at the end! I appreciate having alternative choices of both jazzing up my designs for that extra wow as well as simplifying but keeping it classy when I’m short on time. Thumbs up to keep it going! Callye?!?!?! I love that you added alternative steps!!! Love all your blogs. You always give great ideas thanks Callye! I love the alternative step!!! 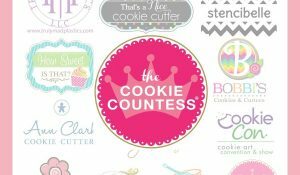 I love this… your tutorial steps, as well as all the alternative ideas! Awesome, Callye! they are well done, you have an amazing imagination. Bravo! Love them! And the use of the flower sprinkles for the popcorn was brilliant! 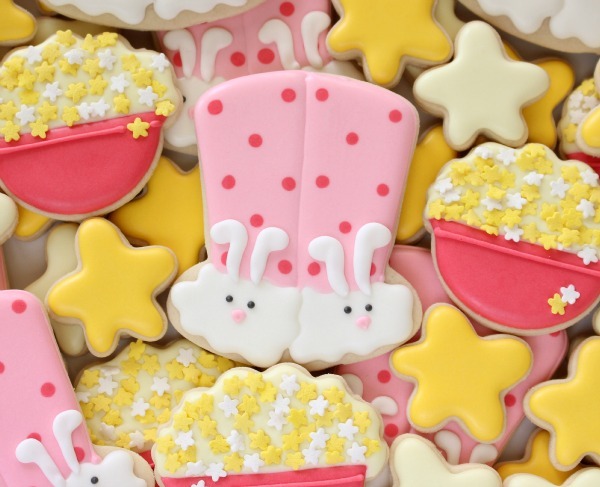 So clever and super cute creations Callye!! LOVE those popcorn bowl too! This is a great guide. Thank for share ! 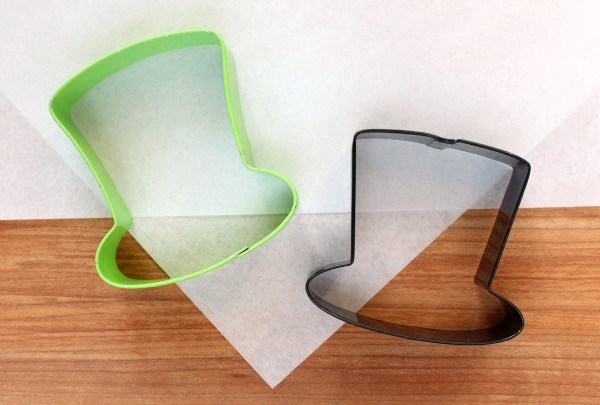 This is great how to make cookies is now easier with this. I have been knowing howto make them but not of this kind. Nutter Butters addicted to attractive Bunny Slippers by addition modeling chocolate ears and nose, candy eyes, and cooked lawn beard.